Bees & Honey Partnership Ltd is a high-end print agency specialising in design and art installations for events and exhibitions. 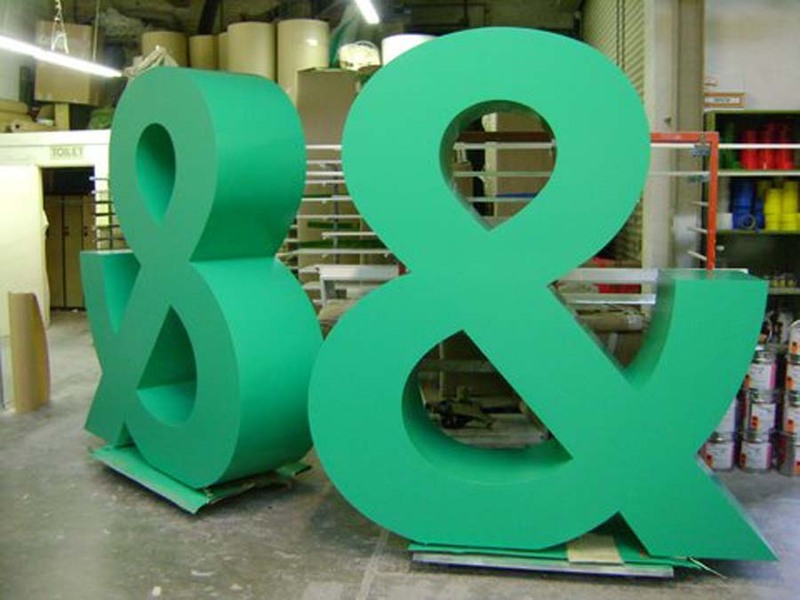 For a promotional campaign/event we were asked to produce large Ampersands (2m high x 2m wide). Using wood and skin ply form, we cut the large surface shapes using CNC machining, joining more than one sheet of material per face. 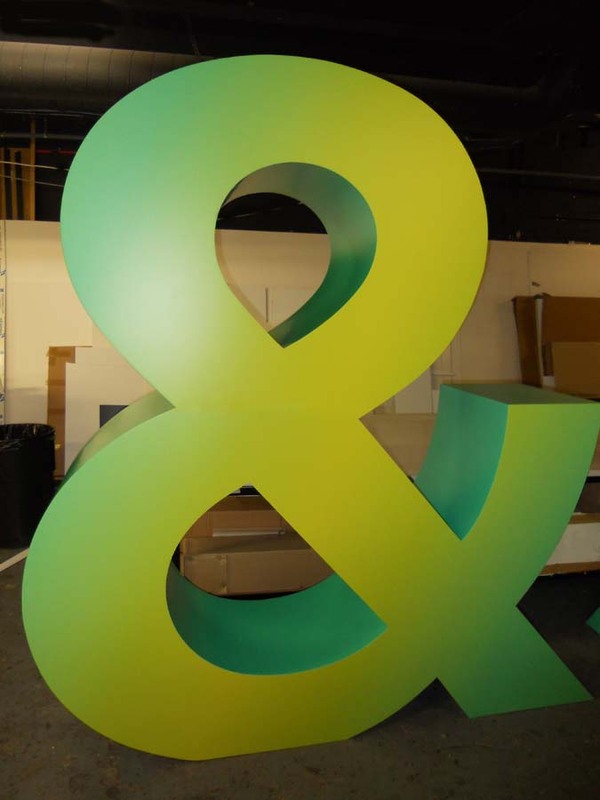 Then to produce the large three-dimensional shapes we clad the pieces in 1.5mm skin ply and for durability we finished using two pack spray paint. For transportation we made large shipping crates. 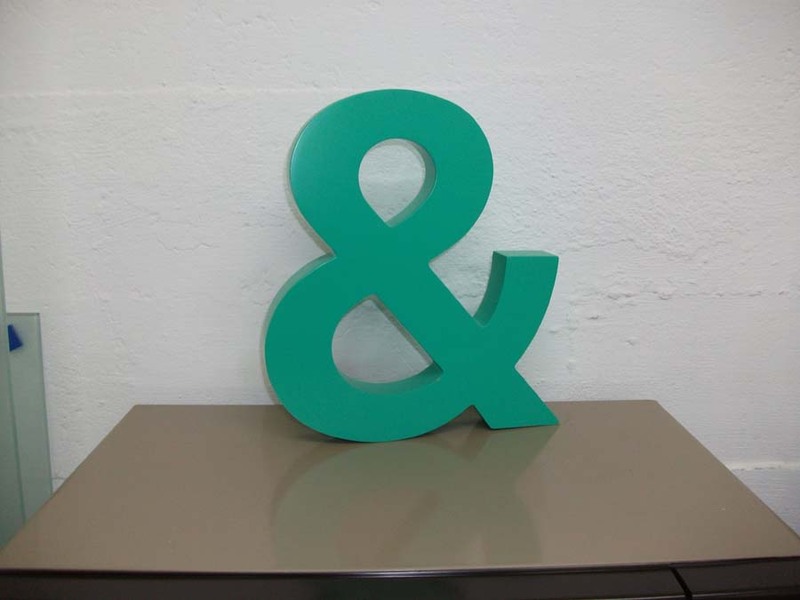 In addition, to the large ampersands we made 100 small ones.